As a homeschooling family, I only have to cram breakfast in while packing lunches and getting out the door on time once a week. We have a weekly co-op, and every Tuesday, amid the scramble, I marvel at all you moms and dads who run the gauntlet of morning activity every day. “Where are my shoes?” “I forgot my water bottle!” “No, you cannot wear flip-flops! It’s pouring down rain and 40 degrees!” It’s pure insanity. Getting some food in the kid’s bellies is the worst part. Breakfast is just not a meal that you can finish in the car easily. You either chow down at the table, or get to enjoy the smell of stale milk wafting from the back of the van for weeks on end after your precious 6 year-old dumped his cereal all over. Yeah. Breakfast is an in-the-house meal. 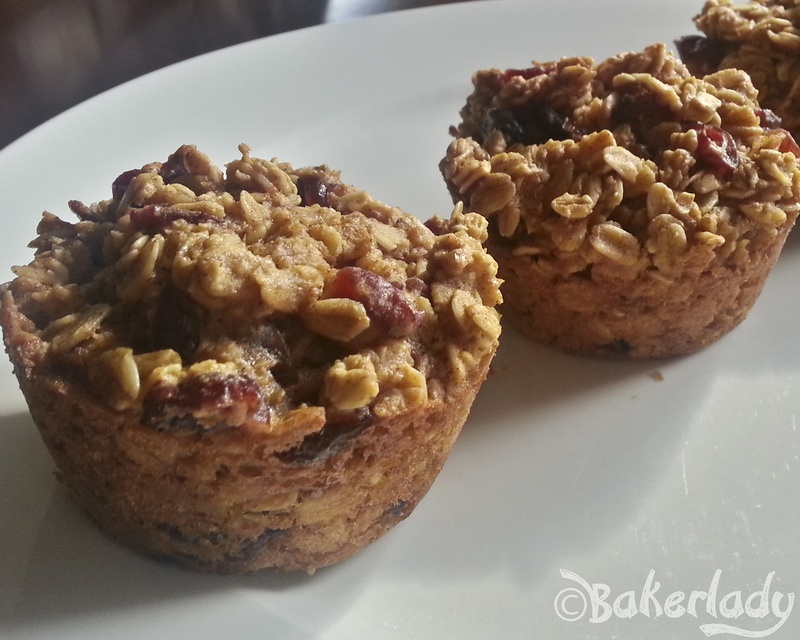 Unless you make up a batch of these delicious Oatmeal to Go Pumpkin Cranberry Muffins. They are completely portable and absolutely scrumptious.